I Want You for Wienerschnitzel - NOW! 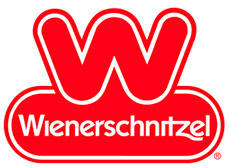 Wienerschnitzel is now selling over 120 million hot dogs per year at 370 restaurants in ten states and Guam. With our new stimulus package terms, we invite you to get in on the action. Our restaurants offer a proprietary product line that goes beyond our variety of hot dog and chili dog servings to include Burgers, Chicken Sandwiches, our very own Polish Sausage Sandwich, Pastrami Sandwiches, and a hot breakfast menu featuring Burritos, Biscuits, and French Toast. Brand new architectural designs are built to handle fast take-out business while also providing an enhanced environment for customers in which to relax and enjoy a delicious meal. The Wienerschnitzel opportunity also includes co-branding with Tastee Freez dessert treat products. Soft serve lovers have been thrilled with these old fashioned sundaes, root beer floats and cones for almost 60 years, giving each restaurant potential for a second destination that paves the way to extra sales. "One of the greatest opportunities in my life was becoming a franchisee of Wienerschnitzel. It put me in a very high tax bracket." Our franchises come with a comprehensive six-week course designed to immerse the Operator in Training in all the day-to-day requirements of operating a Wienerschnitzel restaurant. It is specifically designed by the parent Galardi Group to meet the needs of prospective franchisees starting with a wide range of experience levels, and must be successfully completed by the owner or designated General Manager. Operations Representative for every 35 locations, management training, marketing materials, and an established distribution system. Franchisees can also enjoy and profit from getting together with the rest of the organization at National Operators Seminars and various regional meetings. Franchise Service Fee - 1% monthly 1st year, increases 1% each of next four years. Franchise Training Fee - $3,500. Advertising - 4% minimum (rate voted on by Advertising Co-Op). Capital Requirements - net worth $600,000, liquid $250,000. Building and equipment packages run in the range of $350,000. Galardi Group provides a list of banks and commercial lenders that work with Wienerschnitzel franchisees. Restaurant or retail management experience is a plus. Please note this franchise is accepting leads from within the United States ONLY. Interested parties should have at least $200,000 to invest.